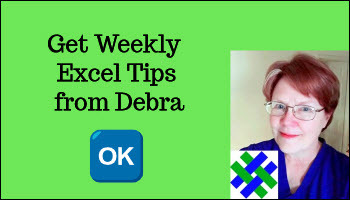 Don't miss my latest Excel tips and videos! 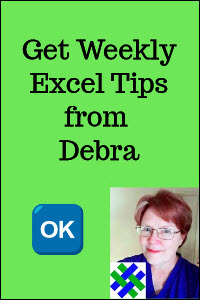 Sign up for my weekly newsletter with Excel tips, and links to other Excel news and resources. If you're looking for previous newsletter articles, check the interactive list of articles, shown below. You can sort any column, by clicking on its heading. Or, use the Search box above the list, to find specific articles. Sort: Click any heading cell, to sort by that column. Click again to change sort order. Search: Type a topic in the Search box to see all the issues with that topic. NOTE: Details for older newsletters will be added as soon as possible. NOTE: To find newsletter articles not listed here, use the Site Search box, in the Navigation bar, at the top of the page.